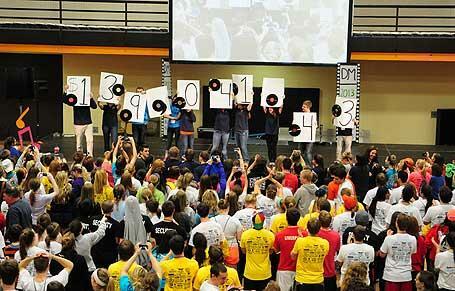 Dance Marathon Has Record Year -- For the Kids!! The 2013 Dance Marathon concluded Saturday (March 9) having raised $139,041.43, the highest one-year total in the event's 14-year history. This year's marathon also set a participation record with 750 students involved. Since the event began in 2000, Dance Marathon has raised a total of $1,142,641.03 for Helen DeVos Children's Hospital, "for the kids."